Here’s a reason to stick some lavender in your Valentine’s bouquet: research suggests essentials oils from the flower may help to naturally relieve headaches. A study from the journal European Neurology shows that lavender essential oil significantly reduced the severity of migraine headaches for 72% of cases. In comparison, earlier studies have shown that Tylenol and ibuprofen are only effective for migraine headaches about 50% of the time. In a 2012 study, researchers conducted the first-ever placebo-controlled trial on the effects of lavender essential oil for migraine headache. Forty seven participants were randomly assigned to sniff either lavender essential oils or a placebo for 15 minutes. They then recorded their headache severity and symptoms every 30 minutes for the next two hours. In the group treated with lavender, 71% of headache attacks responded entirely or partially to the treatment compared to just 47% in the placebo group. 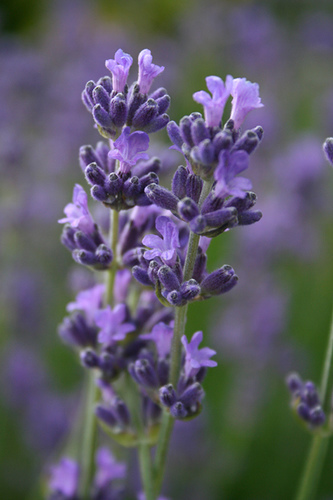 “Lavender essential oil has been used as an anxiolytic drug, a mood stabilizer, a sedative, spasmolytic, antihypertensive, antimicrobial, analgesic agent as well as a wound healing accelerator,” the researchers wrote. They concluded that lavender essential oil may be “an effective and safe treatment modality in acute management of migraine headaches.” More research is needed to confirm the results of this initial trial. Lavender is famous for its stress-relieving properties, and research shows that addressing stress is key for preventing and eliminating migraine headache. Chiropractic care is another natural option that has been shown to be beneficial for easing stress hormones and headache. Prior MJ. A randomized, placebo-controlled trial of acetaminophen for treatment of migraine headache. Headache 2010; (5):819-833. Rasmussen MJK and Binzer M. Non-steroidal anti-inflammatory drugs in the treatment of migraine. Current Medical Research 2001; 17 (1s). Sasannejad P, et al. Lavender essential oil in the treatment of migraine headache: a placebo-controlled clinical trial. European Neurology 2012; 67(5):288-91. doi: 10.1159/000335249. Written by: Marissa Luck on February 3, 2014.